Anniversary greeting going out to Mr and Mrs Osborne and Celina Francois of Campden Park celebrating 16 years of love and togetherness Friday 27th October. Greetings from your two lovely princes Colvill sailing on the Splendour of the Sea and Kelvin Francois. Also other relatives in S.V.G, U.S.A and Barbados. 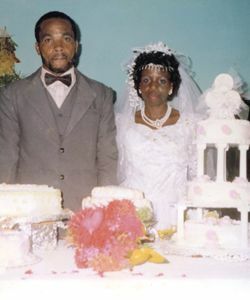 Wishing you long life and God’s blessing and many more anniversaries together. Also birthday greetings going out to Osborne celebrating on October 27th. We love you. Stay Sweet.